Franck Muller and Vartan Sirmakes founded the Franck Muller brand in 1991 with the aim to create exclusive high-end watches characterized by original designs and complicated movements. Since then, this company has grown into one of the leading luxury watch brands in the world, producing some of the finest and most sophisticated timepieces for men and women. For today, Franck Muller watches are largely created for exclusive clientele, being worn by many celebrities, including Elton John, Demi Moore, Eva Longoria, and Cristiano Ronaldo. Needless to say that the price paid for such timepieces is often no less impressive than their design and quality. However, in fairness, it should be noted that there are also models that come at reasonable prices, making them affordable for the average customer. Plus, you can always consider buying pre-owned and discount Franck Muller watches. 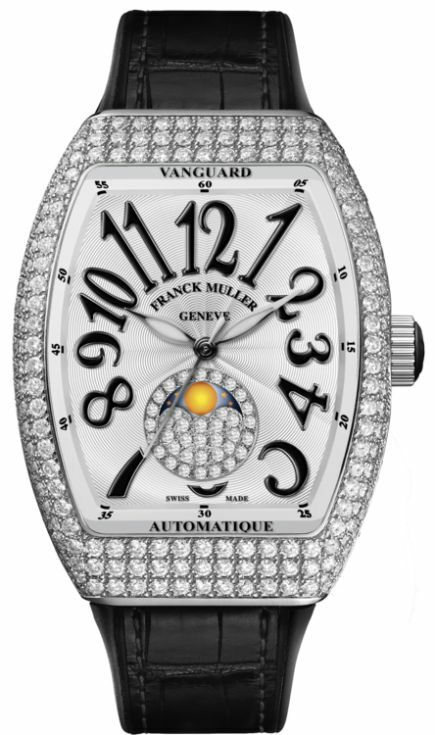 Franck Muller has always been known for creating some of the best tourbillon watches in the world. 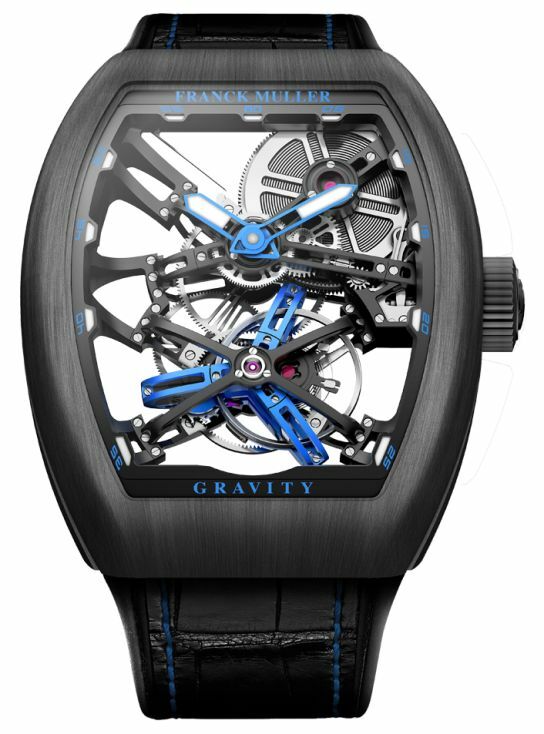 In 2017, the company’s collection was complemented by a series of Vanguard Gravity Skeleton watches distinguished by a new concept of tourbillon cage with an elliptical structure. The novelty is available in gold and titanium, with accents in different colors. 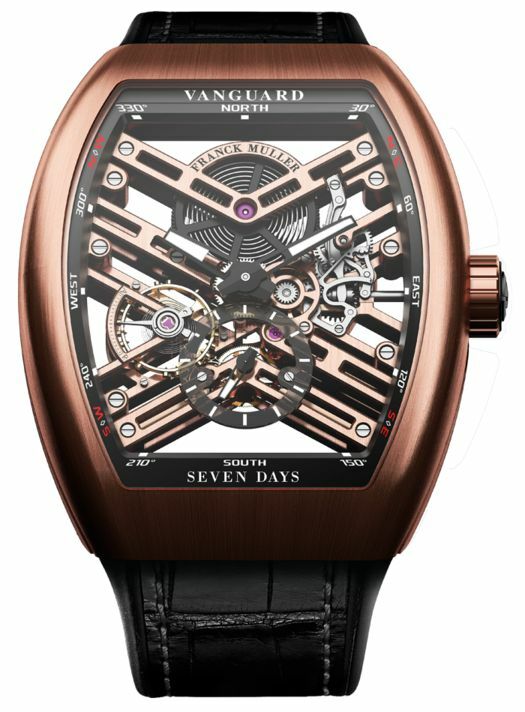 The Vanguard Skeleton is another open-worked example of Franck Muller brand new watches. 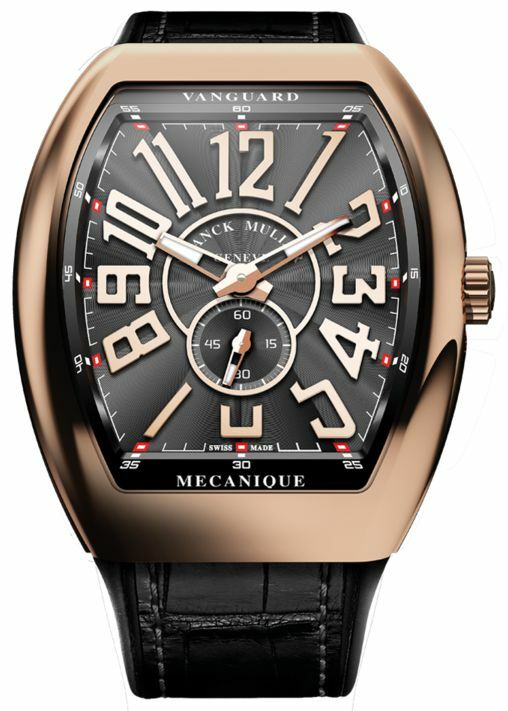 This model comes with an innovative in-house mechanical movement that ensures 7 days of power reserve. The intricate mechanism is clearly visible through the skeleton dial that allows admiring the inner workings whenever you want. Distinguished by its ultra-feminine refinement, the updated version of the Franck Muller Vanguard Lady Moon Phase comes with a sun-stamped dial that features a diamond-paved moon phase display at the 6 o’clock position. Besides, this luxury watch model is additionally complemented by a diamond-set bezel that makes it even more luxurious. Enclosed in an ultra-thin symmetric case, the Vanguard Slim boasts a new in-house self-winding mechanical movement that is just 2.6mm thick. It is the latest generation of Franck Muller high-end watches with the same iconic style and accuracy that can be found in all Vanguard models. Inspired by the refined world of blossoms, the Long Island Flower is one more stunning example of Franck Muller brand new watches, designed specifically for women. Featuring a delicate pink mother-of-pearl dial with appliqué relief flowers, surrounded by a diamond-set bezel, this fantastic luxury watch is a true find for a beautiful lady. Whatever your taste and style, Franck Muller is sure to offer something special for you. This company is indeed unique, so if you have such an opportunity, add one of its brand new watches to your own collection! Previous: What Are the Most Expensive Religious Artifacts in the World?